While in South Africa filming The Black Mambas, Nigel Marven, Simon Jones of Helping Rhinos, cameraman Michael Hutchinson and I were privileged to be able to visit and film with the baby rhino orphans at Rhino Revolution in order to see how The Black Mambas help with this wonderful rhino rescue. One of the members of staff we met was Jade Aldridge, a 27 year old veterinary nurse from Surrey, UK. Jade has previously worked at Battersea Dogs and Cats Home, but keen to explore the world, she left the UK in 2014 to volunteer at an animal rehabilitation centre in Limpopo in South Africa looking after injured and orphaned wild animals. 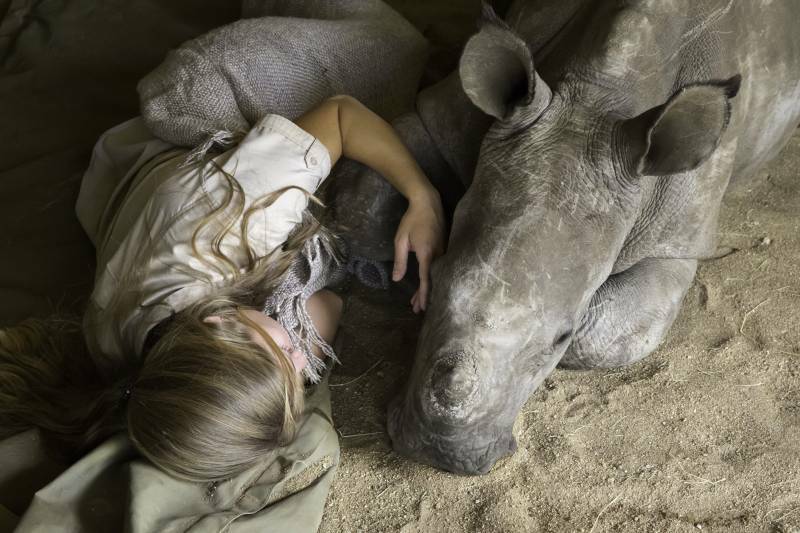 It was here her eyes were opened to the rhino poaching crisis happening in Africa when she had to look after her first orphaned rhino calf. When Rhino Revolution opened their orphanage in September last year, they urgently needed a veterinary nurse experienced in caring for these traumatized orphans. Now sleeping in a pen with a 3 month old rhino orphan alongside her, and getting up at night to do two hourly bottle feeds, she admits that her days of neutering cats and dogs at Battersea Dogs Home seems a very long way away indeed…. Anneka: Why did you choose to go out to help the Rhinos? Jade: I originally came as a volunteer in wildlife rehabilitation, this introduced to me to working with rhino orphans and a better understanding of the poaching crisis. On the back of this I grew a passion for rhinos and their conservation. Anneka: How many rhinos in your care? Jade: There are currently 4 rhinos. 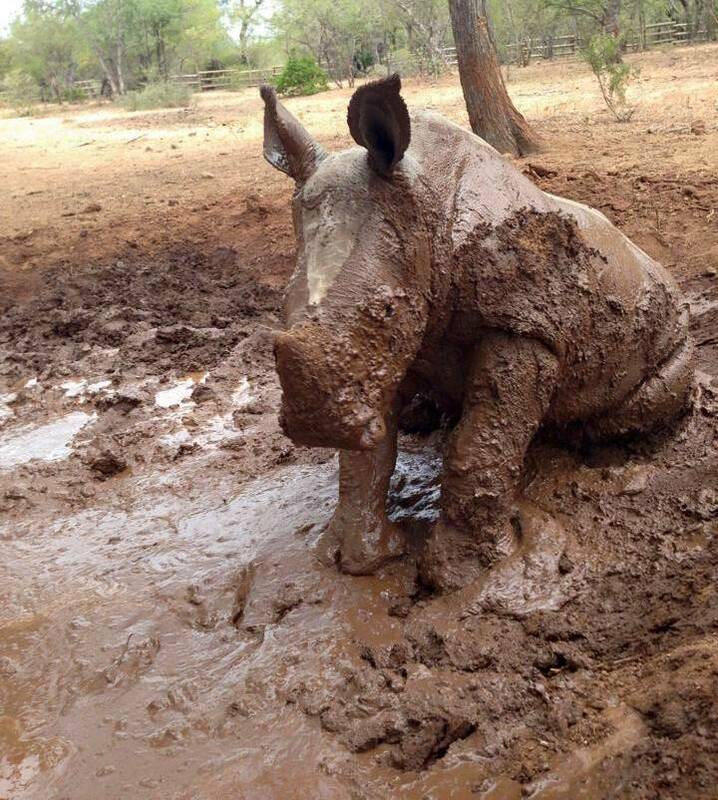 Anneka: How often does the rescue take in a new rhino? Jade: The orphanage opened in September last year, at the request of all the game reserves in the area who are battling with poaching. Sadly our first rhino calf turned up within 3 weeks of opening and since we have opened we have averaged on 1 rhino calf per month. Anneka: What is the approx. cost to wean each rhino to full releasable size? Jade: It is variable on each individual calf, we work on a minimum basic of 10,000R (450 GBP)/month/calf but for instance we have 2 calves at the moment that have extra nutritional needs and therefore being supplemented and costing us more. The calves will need bottle feeding until they are 12-18 months when they will then solely graze and be supplemented with Lucerne and Teff. In the wild calves stay with their mothers until around 3 years old, with our current calves arriving around 4 months when their mothers were killed old this is a good 3 years we have to fund their feeds. Anneka: What do they eat/drink and how often do they feed? Jade: They have a milk formula consisting of skimmed milk powder, glucose and protexin (a probiotic). From 3 months old they start grazing as well as still drinking milk, but unfortunately due the drought there is no grazing so we have to supplement with Teff and Lucerne which is costing us a lot. Frequency and amounts depends on their age and weight, for instance a neonate (very young calves) and any age calf during a stabilization period is fed every 2 hours around the clock. Dependent on condition, medical status and time of year this would be adjusted. Anneka: Tell me more about the body contact they need at night? Jade: Rhino calves are with their mums in the wild 24/ 7 they sleep next to each other so we try mimic this as close as possible acting as a surrogate mum, or else the stress of being alone can cause some serious and sometimes fatal issues. 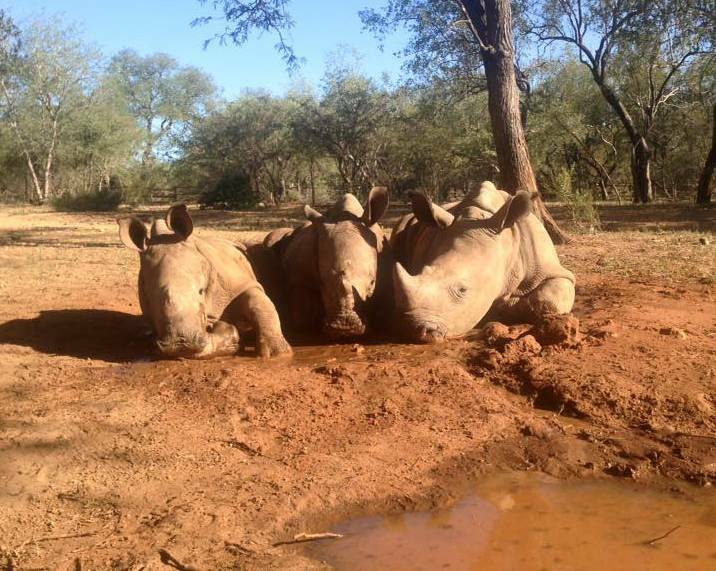 As soon they are stabilized which can take any length of time depending on the trauma they have gone through we will introduce them to the rest of our orphans to make bonds with them and hope they will form a crash (collective noun for a group of rhino). Anneka: How many orphanages are their currently in the Kruger area? 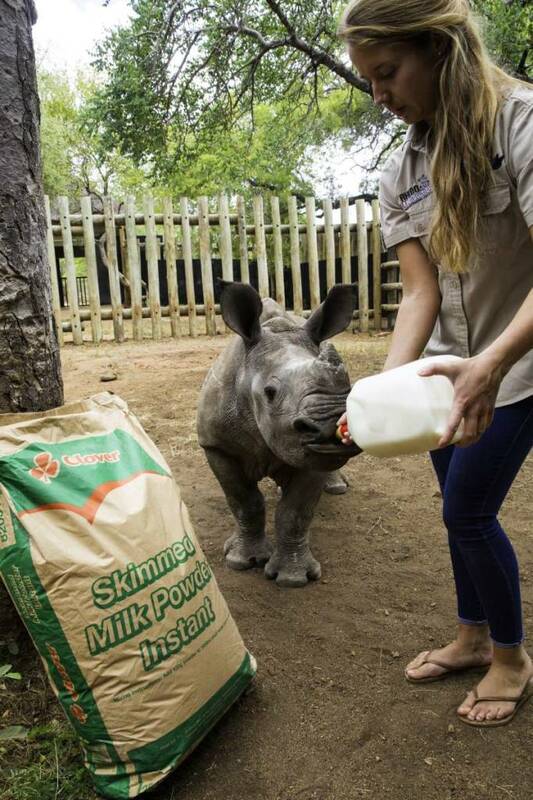 Jade: There are a number of facilities that can take rhino calves in South Africa; we are the only purpose built closed facility in the greater Kruger area. 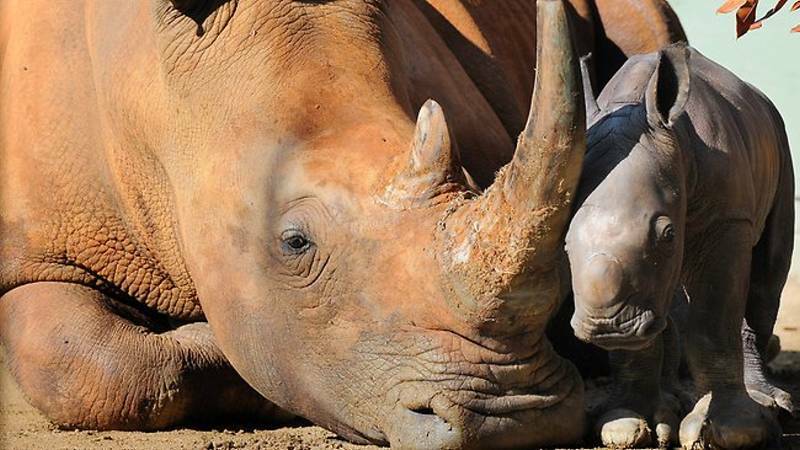 Kruger area has South Africa’s greatest rhino population and consequently the world’s most significant numbers of rhino, so sadly the Kruger area is a big target for poaching. There was a great need for a rhino facility in this area to cope with the number of orphans being found and built at the request of eminent rhino conservationists and private game reserve owners in the area, who are being targeted by poachers. 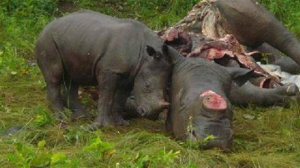 Anneka: What happens to a baby rhino if there is nowhere for it to be raised? Jade: Calves stay with their mothers until they are around 3 years old, depending on them for milk and protection from territorial males and predators. Sadly when the mothers are killed, if the orphans are not quickly located and transferred to a secure location it is unlikely they will survive. 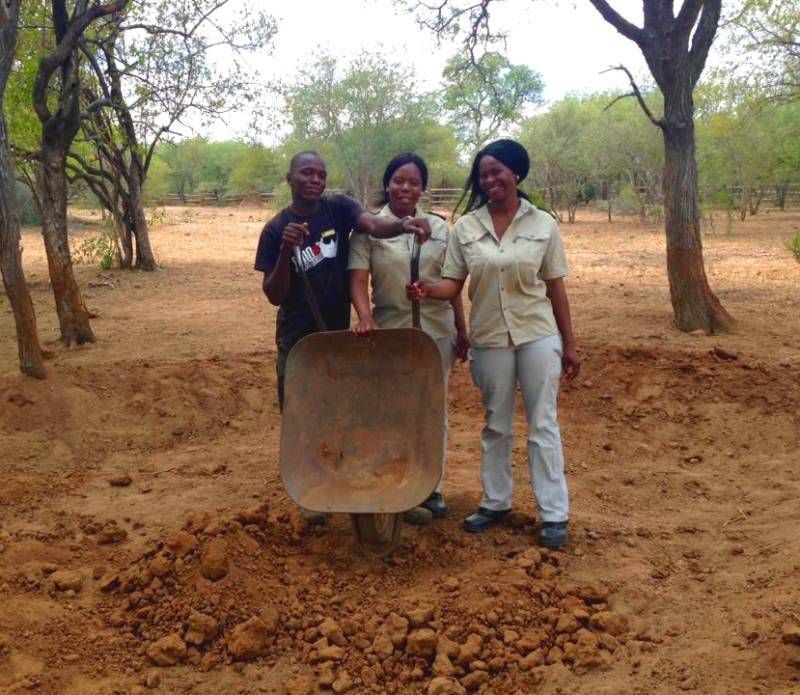 Anneka: What are the Black Mambas doing to help Rhino Revolution? Jade: Black Mambas are predominately assisting with security but are involved in all aspects of our rhino rehabilitation. 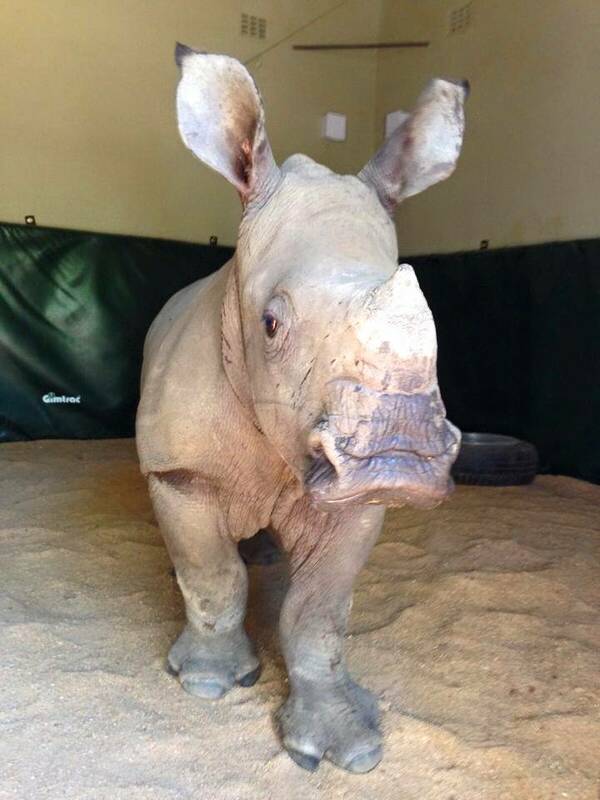 Anneka: What is the saddest story you have encountered with a baby rhino? Jade: Our latest arrival is Chipoko, this means ghost in Tsonga, she was named due to her elusive manner, as it took 5 long, hot days, in 40 degree heat, to find her, after her mother was found murdered. When the rangers found her mother’s body, they knew she must have a calf, as her udder was full of milk. Chipoko was eventually found 12km away from her mother’s carcass, as she had run away and hidden, although she was only 3 months old and still so reliant on her mother’s milk she had survived eating dried grass and mud. When Chipoko arrived at the orphanage, she immediately took to the bottle, as she was starving. However her stomach was plagued with trouble as the constipated baby tried to expel the solidified mud she had been eating. Then came bloat, nausea, colic which was very distressing to see. Thankfully with round the clock care, treatment, she has finally seemed to of recovered and started to settle down. One can only begin to imagine the horrors she has witnessed and the terrors she has been through. Rhinos are such sentient, sensitive animals. Chipoko cried every time I left her (the only time I left her was to make her milk bottles for a short 5 minute period) and makes a heart touching squealing sound trying to communicate. Anneka: Also tell me about any other sad heart-breaking stories with the rhinos you have heard about or been in contact with? Jade: Each calves story is as sad as each other’s, but to put into perspective all four of our calves witnessed their mothers being brutally killed and have suffered post-traumatic stress on the back of this. Anneka: Do you feel that your job itself is dangerous and do you ever feel unsafe yourself? Jade: Of course it can be dangerous working with any wild animal. My biggest fear is poachers coming to the facility, but we have a very tight 24hr security including cctv. 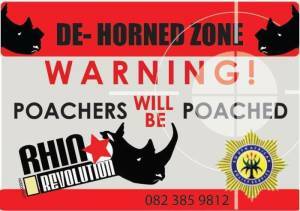 Anneka: What facilities does Rhino Revolution need now to expand in order to accommodate other rhinos? Jade: With current levels of poaching we are averaging one calf a month, our facility can hold a maximum of 10 orphans, however this is causing a huge strain on our funds, as each calf is so expensive to feed and care for. We are desperately hoping that people will make donations to contribute towards these escalating costs. Anneka: What is your ultimate dream for the orphanage? Jade: My immediate wish is that with enough funding we are able to give the best level of care to these poor traumatized orphans.